Shows the dates and areas where the Decatur Fire Department will be conducting fire hydrant testing during the month of April 2019. See which permit-only parking spaces are available for registration. This tool allow users to compare aerial photography from 1941 with our most current aerial photography (2016). Use the slider to swipe back and forth to compare the two photos. Several prominent locations have been bookmarked for you, but you can compare any location within the City! The City Code Violation Database contains up-to-date information on City Code Violations. Because of the size of the database, it may take a few seconds for the data to populate on the map. When it does, the user will see properties high-lighted in red on the map. Users are able to search by address, parcel number, or owner name. Please note that the owner’s name is only as current as the data received from the Macon County Tax Assessor’s office on an annual basis. This map is maintained by the City’s Public Works Department to show the public the location of the dredge on Lake Decatur. The City wanted to provide accurate, easy to access public information to you … on your schedule … when you want it … any time of day or night. GIS is short for Geographic Information System. It is a series of “layers” which contains information or data about a physical place. It gives you a visual understanding of that place. 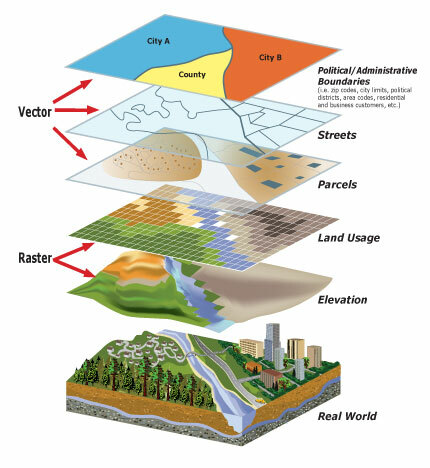 GIS involves computer hardware, software, data, and people, designed to analyze, manipulate, and display information in a variety of ways. GIS uses depend on your objective and the information that is available. For example, you can find a location from an address or parcel number, see if your property is near the floodplain, see the configuration and names of streets and roads, find property information, check how a property is zoned, find a park or simply see what Decatur and Macon County look like from the air. This Atlas would not have been possible without the cooperation and assistance of a number of other local governments and entities. The City would like to acknowledge the staff in Macon County’s Supervisor of Assessments, Planning & Zoning and GIS departments, the Emergency Telephone Services Board of Macon County, and The Decatur Park District. Their continual willingness to share data and resources is appreciated.